The Borno State Government announced on Monday that there will be no restriction of movement within and outside the state during this year's Sallah celebrations. Governor Kashim Shettima made the announcement shortly after an emergency meeting of the State Security Council in Maiduguri. 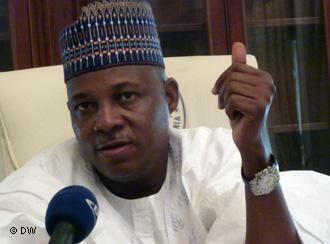 Shettima said: "After extensive deliberation with core members of the State Security Council and after weighing all the options and after taking a helicopter surveillance of the state capital and assessing the security situation, we have resolved not to restrict movement of persons or vehicles in the state during this year's Sallah celebrations." He said government had also decided to allow free movement of persons to and from the state during the celebrations. "We have equally resolved not to restrict entry or exit into Maiduguri and other parts of the state during the Sallah," he said. Shettima said government would introduce stringent security measures to ensure safety at the various Eid grounds across the state. "There will be enhanced security checks at the various Eid grounds, so worshipers should go out early enough to prevent delays," Shettima said. The governor urged the people of the state to be vigilant and report suspicious movements to security agents near them. This is first time in six years that the state will witness the celebration of religious festival without restriction of movements for fear of Boko Haram attacks.